Brooklyn raised emcee, Justo is damn near determined to prove a point on his latest release. 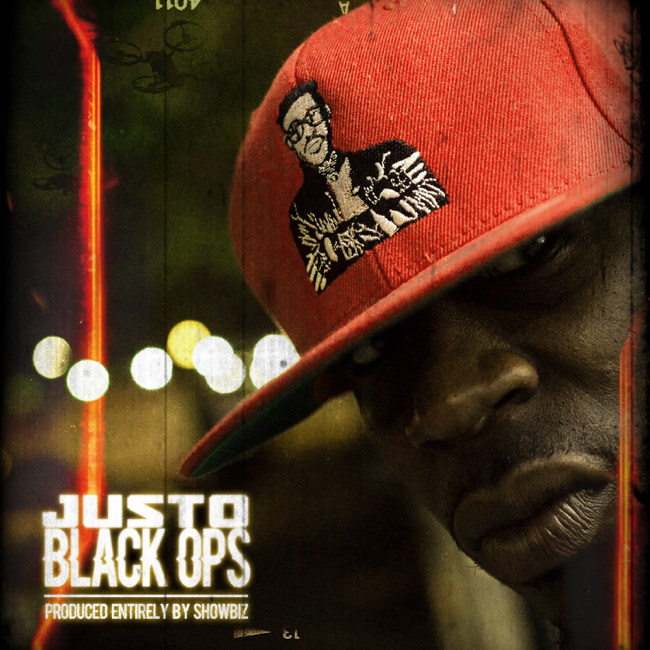 Teaming up with veteran Hip-Hop producer, Showbiz , he crafts an 11 track body of work which he calls “Black Ops“. The project’s manifesto includes two main points; a) to pay homage to the greatest to ever do it, and b) to showcase that he’s not playing around when it comes to the lyrics. Black Ops also follows Justo’s tendency to collaborate with a single producer on a project, including 2015’s great 7-1-Ocho with Mexican beatsmith, Ocho Vazquez. The one-rapper, one-producer approach is one of Hip-Hop’s greatest traditions, and Justo honors it with vigor and tenacity here throughout every track. For Justo, flowing over Showbiz’s raw, gritty instrumentals came naturally, but it also opened the door for experimentation. He saw an opportunity to get loose and just straight-up spit, leaving listeners with one of the hardest rap releases to drop so far this year. The eleven track project is now available through all major digital outlets and streaming platforms, via Black Jewel Entertainment. Watch Video Of “The Council” Below.